Below are some common questions we hear from seniors and their families. Why are you called Three Links and what do you do? What does ‘continuum of care’ mean? What does it cost to live in the independent living apartment complex? Or in the residential care building? What is the process of getting in? Placing a family member into a care facility feels like a big decision. Can you help me sort out the best plan? And deal with my guilt? What do residents in the Three Links Care Centre do all day? Will my loved one be lonely or bored? How many people live in the Three Links Care Centre and are they all older and quite debilitated? What is the food like at the Care Centre and Manor and how often do your menus change? How often does your recreational programming change? What kind of in-house health care services do you provide for residents of Three Links Care Centre? What other services and facilities are in the surrounding area? What is the easiest way to get in touch with staff? Do you have some activity rooms and other rooms that can be rented for family events? I really like what you are doing at Three Links. How can I become part of your community? Our name comes from our service club roots and represents our three core values of “friendship, love and truth”. We’re one of Vancouver’s longest-running providers of high quality, affordable housing and residential care services for seniors and older adults. Since 1982 we’ve offered exceptional housing and care services that support people and their families to move through the cycle of life with dignity and quality. Our 140+ residents reflect the richness, colour and vitality of the city itself: they speak 19 languages and represent a continuum of life experiences, genders, cultures and spiritual beliefs. The concept of ‘continuum of care’ means an integrated system of care that supports an aging person over time, providing them with a comprehensive array of health and other services that spans all levels of intensity of care. We at Three Links understand all levels of care. Our operations are made up of two fully accredited and licensed independent living and long-term care facilities, enhanced by exceptional recreation and seniors’ facilities in Vancouver’s vibrant Renfrew-Collingwood neighbourhood. While placement into care is the decision of Vancouver Coastal Health, we provide all levels of care—no matter what stage of life you are in or what stage of care you may need. The cost to live at Three Links Manor varies as it is based on 30% of one’s income, with the remainder subsidized by BC Housing. Three Links Manor also offers Seniors’ Supportive Housing program to 15 tenants, this program is also subsidized by BC Housing and costs 20% of the residents’ income. The Seniors’ Supportive Housing programs offers residents weekly cleaning, daily dinner and a variety of Recreation Programs. The rental rate for the residential care building is based on 80% of one’s income. This may vary anywhere from approximately $1104.70 to about $3240.00. This rate includes care, food, standard wheelchairs, rehabilitation and recreation activities at the home. It does not include medications not covered by pharmacare, medical escorts to appointments, transports to appointments (ambulance, handyDART, taxi), medical equipment (walkers, specialized wheelchairs), cable or internet charges. To apply for a rental unit in our independent living apartment complex, Three Links Manor, click here. 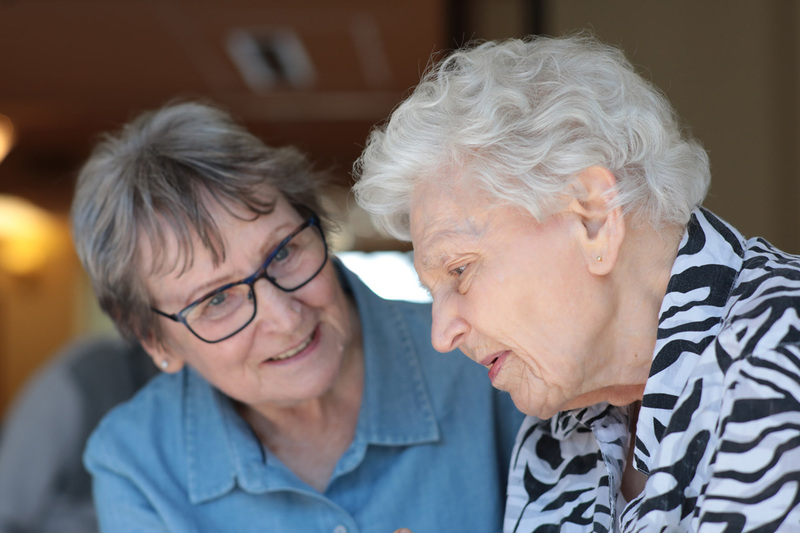 If you think you or a family member needs to move to a residential care facility, your first step is to call the Community Health Centre in the area of the city where you live and request to speak to a case manager who will complete an assessment for your residential care needs. A case manager will work with you and your family to determine your care needs and to review your options. The level of care you require will be determined by an assessment of both physical and mental capabilities. If you are in hospital, a social worker will assist you in completing an assessment. If you or your family member has been assessed for Residential Care and would like to tour Three Links Care Centre, please call our Social Worker at 778-452-6504 or send an email. Please provide us with your name, phone number, the level of care needed and a few dates and times when you would be available for a tour. Please allow for at least 2-3 days to receive a response. 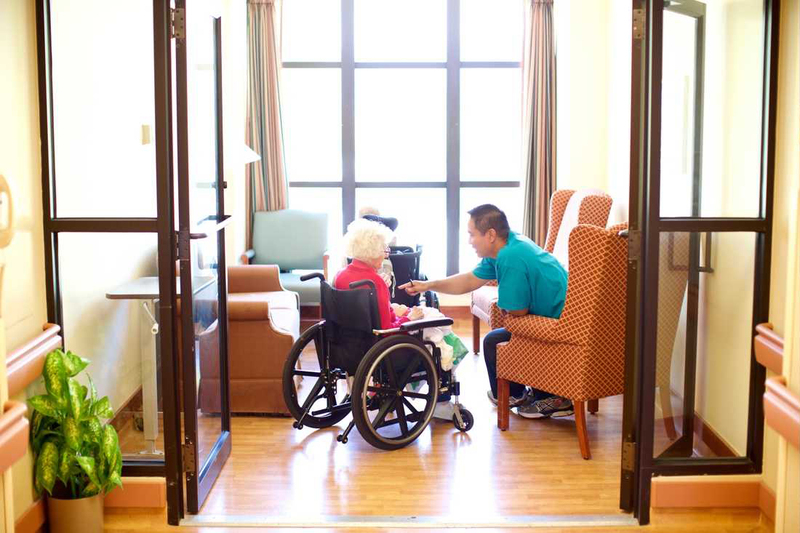 Moving to a residential care setting can be very stressful for both the resident and the care giver. It helps to do a tour of several homes to get some familiarity with what services are provided and a better understanding of what to expect–the look and feel of the home, the staff that work there as well as the residents that currently live in the home. Asking the staff about a typical day at Three Links can help lessen the guilt associated with having to place a loved one in a care home. Our Sleep In Program ensures that our residents wake up on the right side of the bed with a hot breakfast anywhere from 8am to 10am, depending on what time they like to get up. After 10am we provide a continental breakfast. After breakfast, the day begins with exercise and then moves to music, art and crafts, baking, spiritual moments and weekly bus trips. Lunch is served from 12:30-1pm and, after; our residents can participate in recreational activities such as bingo, crafts, or baking. Some of our residents enjoy retiring to their rooms to quietly read a book or have an afternoon nap. Afternoon tea is served at approximately 2:30pm or 3:30pm and dinner is served from 5pm to 5:30pm. After supper, a lot of residents prefer to retire to their private rooms for the evening and occupy their time with reading, television, or music. Residents can also socialize longer in the common areas with each other, as well as watch movies and television together for the evening. We recognize that not all resident enjoy participating in group activities, which is why we have volunteer social visitors who visit with our residents several times a week to recreate with them by going outdoors into the garden, playing games or just spend time chatting. We provide social and creative opportunities that encourage interaction with staff and residents as well as quiet spaces for residents who wish to relax. No matter what kind of activities your loved one is interested in, the will find enjoyment in the freedom and variety of our programming. At the Care Centre we have 90 residents ranging from age 60 to 108 years with varying degrees of functional and cognitive abilities. Each person requires different supports from the care team. Our meals are home-cooked in our own kitchens, and follow individual nutritional care plans developed by our in-house dietician in partnership with residents/families. Our kitchen staff prepare special meals for celebratory occasions and cultural holidays. Dining menus are on a 5-week cycle rotation and they are updated for Spring/Summer and Fall/Winter. For information on special events and gatherings, read the latest news here or sign up for email notifications by scrolling down on this, or any page on the website and filling out the form. The tenants who take part on the Senior Supportive Housing Program at the Three Links Manor receive a healthy, home-cooked dinner every night. The menu is the same as it is for our Three Links Care Centre and rotates regularly. Our recreational activity calendar is updated monthly. To keep up with special activity announcements and other happenings, read the latest news here or sign up for email updates. Many of our special events are open to family members. Questions about recreational programming and activities can be directed to the Recreation Department at 604-434-7211 ext 553. We offer a wide range of in-house services such as fresh meals and nutritional support, counselling support for residents and also for their families, spiritual care services, recreational and activity programming, dental, optometry and podiatry care, hairdresser and barber, laundry and housekeeping and monthly family events. For detailed information on each service visit the Facilities and Services page. Also make sure to scroll down this page to see important links to local facilities and services such as hospitals, taxis and HandyDart. In addition to numerous shops, restaurants and other amenities in the vibrant and diverse Renfrew-Collingwood neighbourhood of Vancouver, there are beautiful parks and greenspaces, a public library, recreation centre and indoor pool, and various outdoor recreation areas a few steps away on either side of our buildings. A handy list of links can be found below, including support groups for burnt-out caregivers, tips on how to transition a loved one into care, and key resources like support for families dealing with Alzheimer’s and dementia. It’s difficult for any organization to predict when an emergency situation will occur. At Three Links, safety is a priority for our residents, staff, volunteers and visitors. Safety measures and systems have been prepared in advance of emergencies such as a fire, gas leak, etc. These systems are also reviewed regularly to ensure that these measures continue to meet our needs and any city bylaws and/or Ministry of Health regulations. Three Links follows the Hospital Emergency Incident Command System where codes (which are identified by colour, e.g. Code Red is fire) outline Three Links’ strategy for responding to and recovering from a realized threat or hazard or other incident. The codes are intended to provide overall direction and coordination of the response structure and processes to be used by the Three Links team. Our Emergency Preparedness Committee is responsible for managing and updating the information kept in the Emergency Preparedness Manual which contains all the codes utilized at Three Links. There is ongoing instruction for our staff and volunteers on personal safety and violence prevention. Safety drills and safety education sessions are conducted on a regular basis–especially fire drills (held once a month), so staff are accustomed to performing in urgent situations. Three Links Care Society uses a version of the HEICS (Hospital Emergency Incident Command System) We use a variety of codes for different emergencies: Code Red – Fire; Code Blue – Cardiac Arrest; Code White – Aggression; Code Yellow – Missing Resident; Code Silver – Gas/Water Leak; Code Black – Bomb Threat; Code Brown – Hazardous Spill; Code Grey – Air Exclusion; Code Green – Evacuation; Code Purple – Lockdown. City of Vancouver has 25 Disaster Support Hubs located throughout Vancouver to assist citizens in the event of an emergency. Map of Disaster Support Hubs is attached. Yes, at Three Links Care Society, we want our residents to feel welcome and to encourage their family members and loved ones to celebrate special occasions with them. We have two spaces available for family members to rent out. The Kinney Sun Room: A great with easy chairs, sofas, tables, and a piano that can fit up to 10 people. The room is perfect for a relaxed and casual gathering. The Private Dining Room: A private room that can accommodate up to six people for a private meal. For more information, including rental rates please read our brochure and contact us at 604-434-7211. Many families find our Welcome to the Three Links Community package useful, and others like to read Our People stories or sign up for email updates to learn more about what goes on around here. Please consider booking a tour to really get a sense of the wonderful community that lives here. There are many ways to get involved at Three Links. We always welcome volunteers who can spend time enhancing the lives of our residents. From time to time opportunities become available to join our team of wonderful staff and also on our non-profit Board. Plus, there are a number of key fundraising programs underway that would benefit from a financial donation.